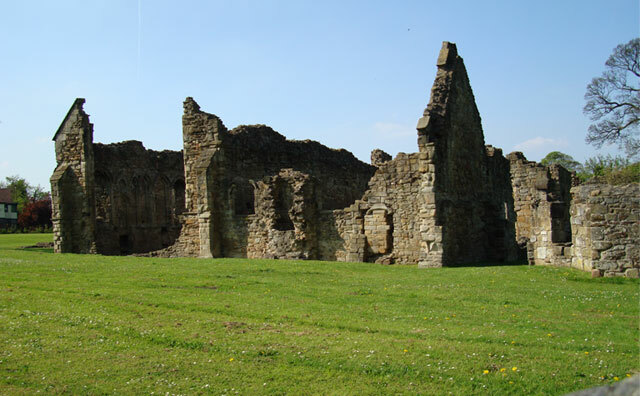 Basingwerk Abbey (Welsh: Abaty Dinas Basing) is the ruin of an abbey near Holywell, Flintshire, Wales, in the care of Cadw (Welsh Heritage). 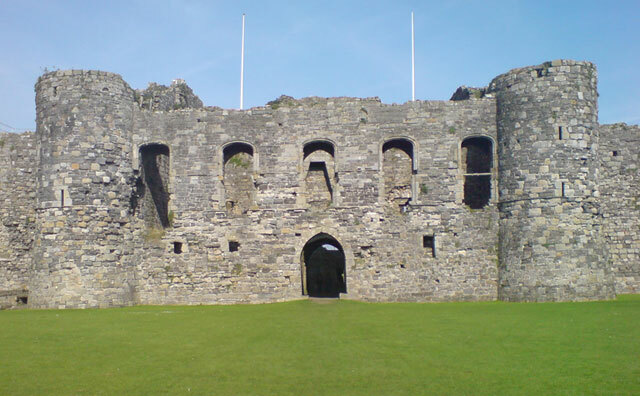 Beaumaris Castle, located in Beaumaris, Anglesey, Wales was built as part of King Edward I’s campaign to conquer the north of Wales. 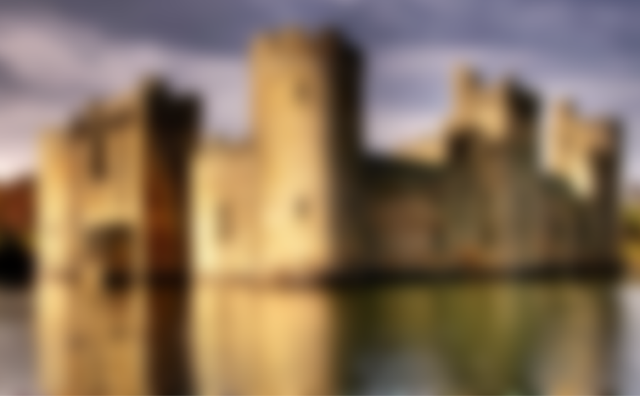 It was designed by James of St. George and was begun in 1295, but never completed. Beaumaris has been designated as a World Heritage site. 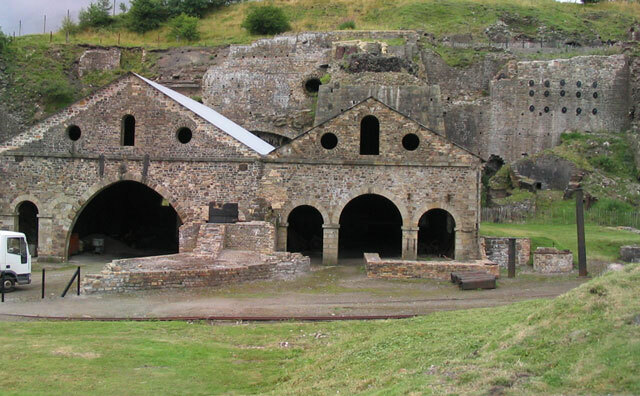 Blaenavon Ironworks is an industrial museum in Blaenavon in Wales. The ironworks was of crucial importance in the development of the ability to use cheap, low quality, high sulphur iron ores worldwide. It was the site of the experiments by Sidney Gilchrist Thomas and his cousin Percy Gilchrist that led to "the basic steel process" or "Gilchrist-Thomas process". Bronllys is a village in Powys, Wales between the nearby towns Brecon and Talgarth. It has recently benefitted from a new bypass as part of the Talgarth Relief Road and Bronllys Bypass scheme. 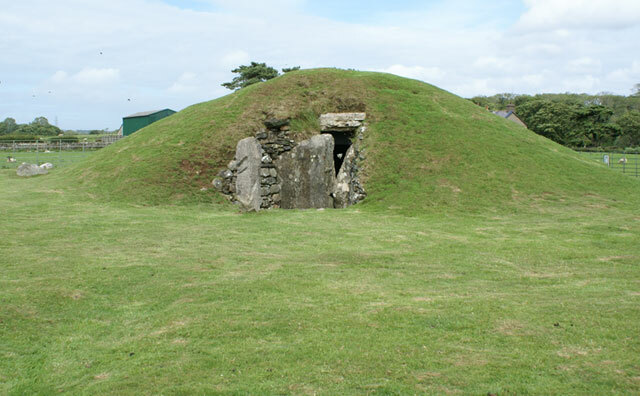 Bryn Celli Ddu is a prehistoric site on the Welsh island of Anglesey located near Llanddaniel Fab. 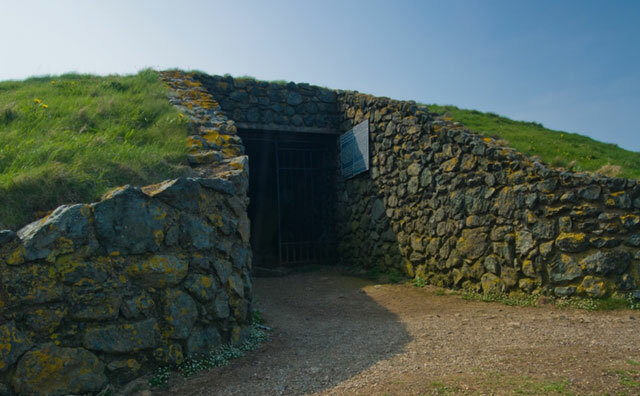 Its name means ‘the mound in the dark grove’. It was plundered in 1699 and archaeologically excavated between 1928 and 1929. During the Neolithic period a stone circle and henge stood at the site. An area of burnt material containing a small human bone from the ear, covered with a flat stone, was recovered. 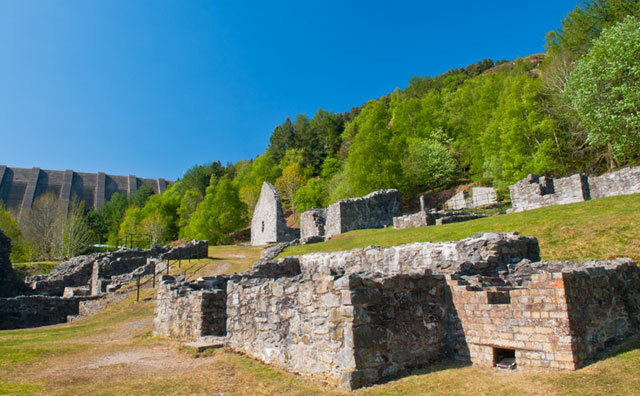 Bryntail lead mine is a disused lead mine near Llanidloes in Powys, Wales. 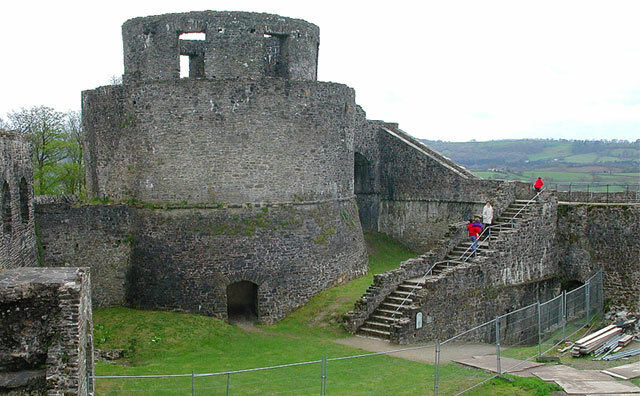 It is currently in the care of Cadw. There were three main shafts, Murray’s, Gundry’s and Western shaft. The majority of the scheduled buildings on the site are associated with Gundry’s shaft, including a barytes mill, two crushing houses, ore bins, roasting ovens and water tanks. On the eastern dressing floor are jigger box placements, three buddles, two more ore bins and washing and picking floors. 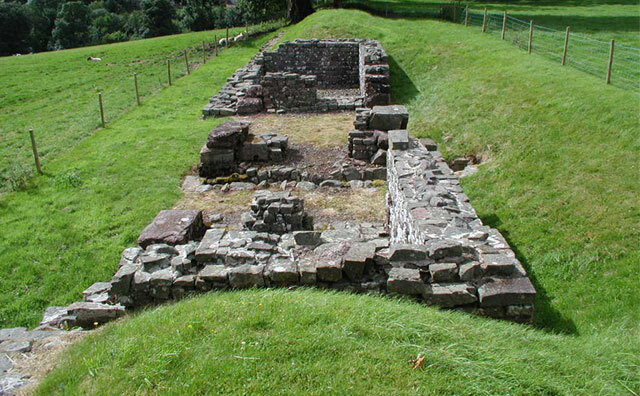 Caer Gybi was a small fortlet in Roman Wales in the Roman province of Britannia Superior. Its name in Latin is unknown. Today it stands at the centre of Holyhead in the Welsh county of Anglesey. 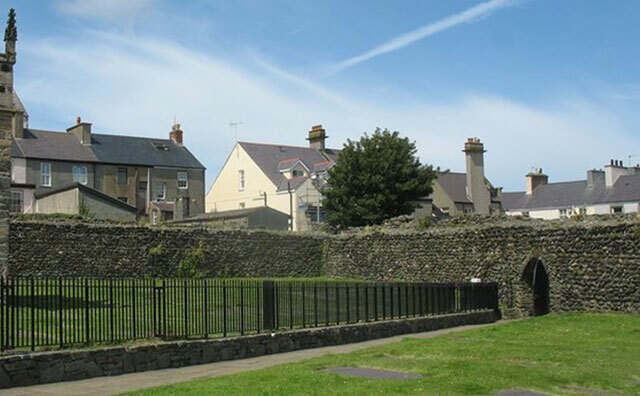 Holyhead is named Caergybi in Welsh, after the fort.